I was around 32 weeks pregnant when I found out my husband, unborn son at the time and myself would be moving to the Garden State of New Jersey. When my husband accepted his new position and had planned to start at the beginning of September we knew our time was limited in terms of finding a place to live. Brent had visited New York where his current job is located, but neither of us had been to New Jersey. At our 33 week OB appointment we made my doctor aware that we would be moving at the end of August and needed to make a quick and sudden trip out East to find a place to live. 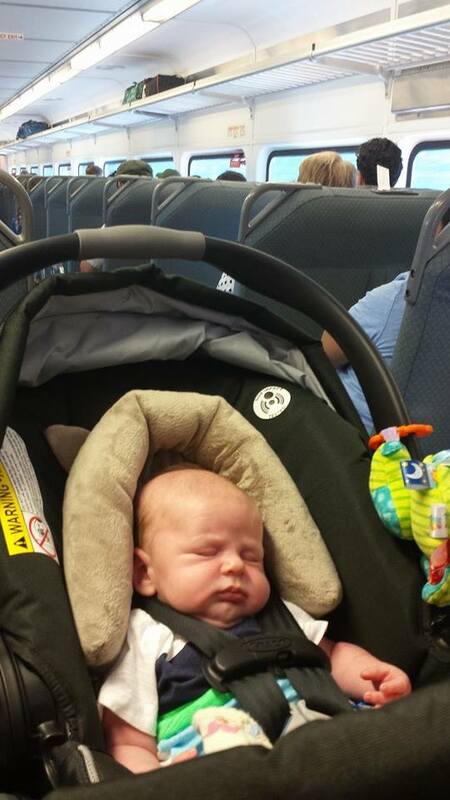 At this appointment the doctor said that is fine, but all travel needs to be done by 34 weeks! So we had just a short seven days to book a flight out East to find a place to live. If you know me I stress out very easily and can get anxiety on the spot; so I was freaking out when we went out and essentially only had one day to find a place to live. We flew out on a Tuesday afternoon and returned to Indiana that following Thursday. Wednesday we drove for nine hours from Princeton, New Jersey to upstate New York looking for apartments and rental homes. 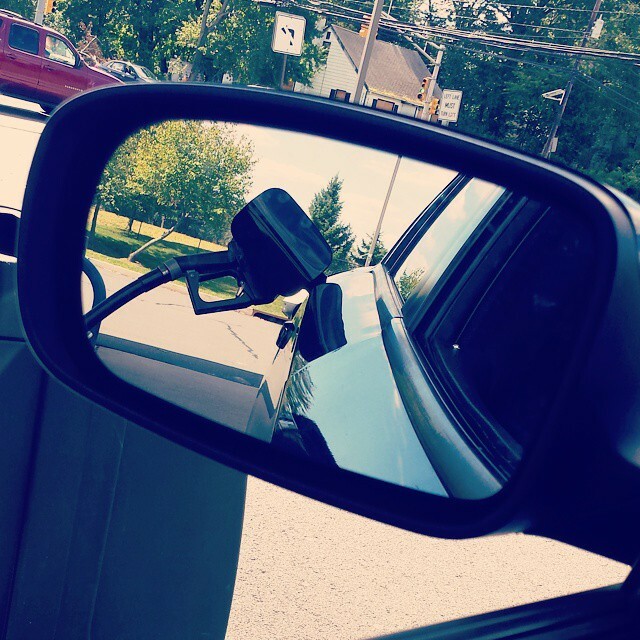 Thirty-three weeks pregnant in a car for nine hours not having any clue what we were truly looking for, I was having major anxiety. At one point we both got very overwhelmed, frustrated we would not find anything and pulled into a Dollar General to recoup and reevaluate our options and where we wanted to look from here. As we continued our trek back down to Princeton we had one last place we wanted to look. It was 5:30pm and thought the day had come to an end and we would be completely out of luck and have to find some place on the internet when we returned back to Indiana. I happen to Google the final place we were interested in looking and they closed at 6:30pm. So we drove and got there about fifteen minutes before they closed and thankfully we had the opportunity to tour the complex because we fell in love! After nine hours of driving we ended up in the same town we started and with little to no hope of finding anything, everything we were looking for was right in the town we fell in love with, Princeton. When we returned to Indiana I was 34 weeks and 1 day and the last thing on my mind was moving, clearly you can ask any family that helped us pack up, because we did not start packing until the week we were moving; which I recommend not doing! Seriously though packing was the last thing on my mind. I could write a whole blog on the do’s and don’ts of packing! So while I was anxiously awaiting a baby I too was still working doing hair and did not even feel remotely interested in researching things to do, things to see or things that were around our area. So now almost two months into living in New Jersey I go day to day learning the ins and outs of what there is to do and see. We still have lots to explore and see, but there are a few things I have found I love about New Jersey! 1. You do not pump your own gas! Best thing ever! With a baby and winter who wants to get out and pump gas anyway? Love not having to pump my own gas! The campus is gorgeous and the architecture of the buildings is down right beautiful. I love not only walking around campus, but downtown Princeton has many shops and food joints to eat and enjoy as well. 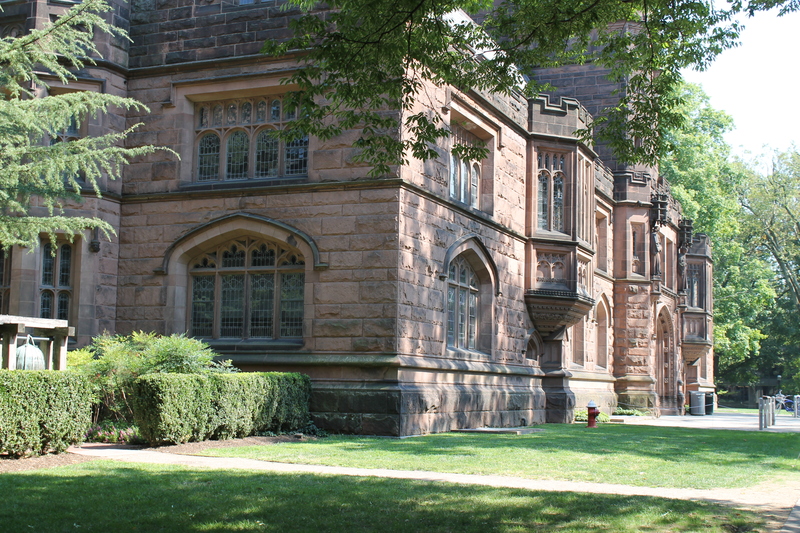 One of the buildings on campus at Princeton. Beautiful! 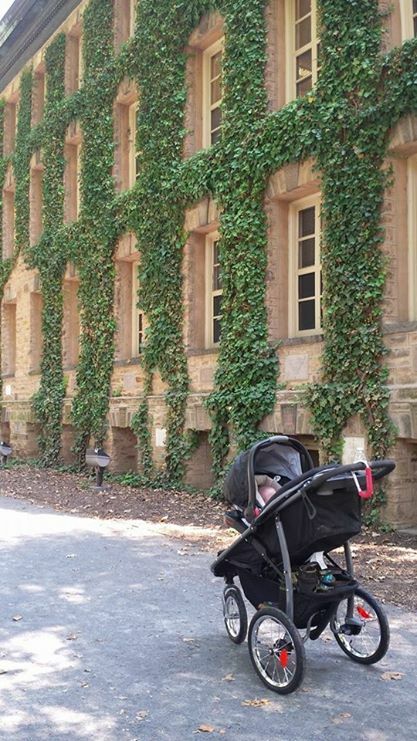 Grayson enjoying the view of one of my favorite buildings on campus! The ivy is gorgeous. We live five minutes from our local train station, which my husband uses to commute back and forth to New York City for work. We also have an easy commute to Philly, Boston, Baltimore, Washington D.C. and of course NYC whether by car or train. What woman does not like shopping? Thankfully we live only minutes from a variety of stores. Having a baby though has me more interested in shopping for baby stuff then things for myself; which I am totally okay with. I am in serious trouble with a Babies ‘R’ Us, Toys ‘R’ Us, Buy Buy Baby, Carters, The Children’s Place and a Baby Gap all within just a few short miles! This area has tons of activities for little ones and parents to do. There are mom groups that provide various events and activities for moms and their tots to do together. Although Grayson and I have not done a lot yet in terms of getting involved and meeting others I am glad to have these resources and soon start. 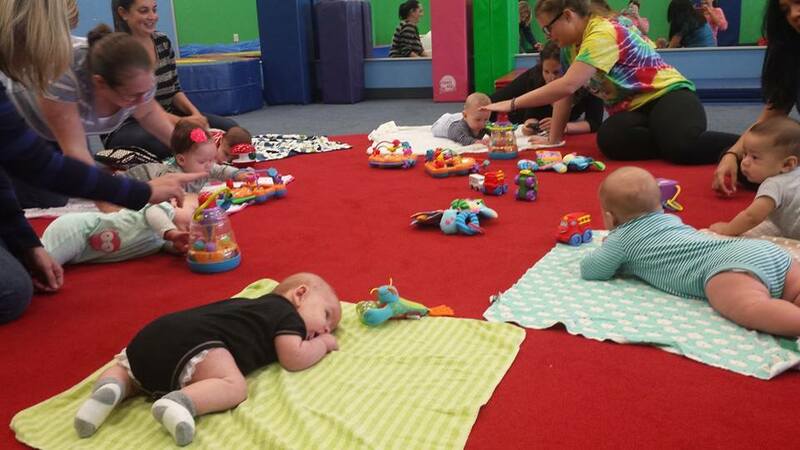 We do however go to a gym class for Grayson on Tuesdays where other babies and moms attend! Grayson and I enjoy going to gym class with all the other babies! New Jersey is full of farmer’s markets which I absolutely love! When we lived in Indiana I always said I wish there were more farmer’s markets. Princeton Junction has a farmer’s market just down the road every Saturday and it was just recently named New Jersey’s Top Farmers Market and ranked #21st in the US. We purchased Jersey Ketchup and Relish last time at the Farmer’s Market. The Ketchup is made from all Jersey tomatoes. New Jersey is like a giant forest. There are many state parks to enjoy and many of the parks also hold various functions throughout the year! There are trees everywhere; which so far is making fall look beautiful! 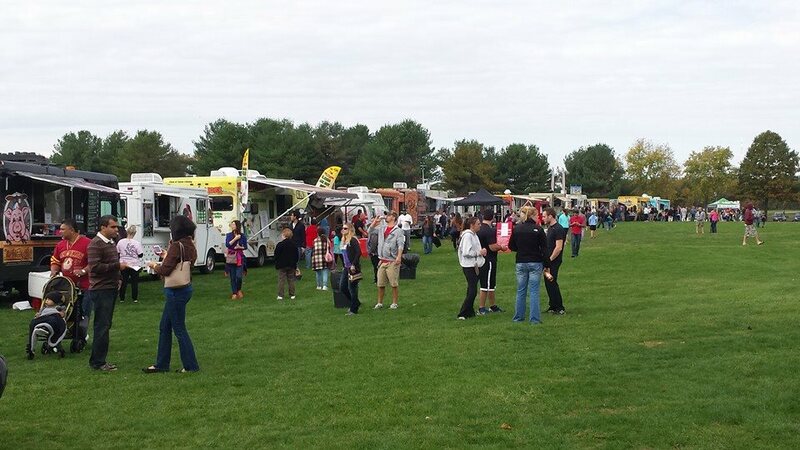 We attended Food Truck Fiesta at the Mercer County Park last weekend. The park offers a variety of activities throughout the year. I do enjoy my occasional Big Mac and sweet tea from McDonalds, but there are so many restaurants to try out here. Some of our favorites are Mediterra, Teresa Cafe and Capuano Ristorante. Wow, I think I really want to live in New Jersey now. Especially for the gas service!!! No I’m not Irish. I believe I have a little dutch in me not sure what else. Crazy I look like your daughter!